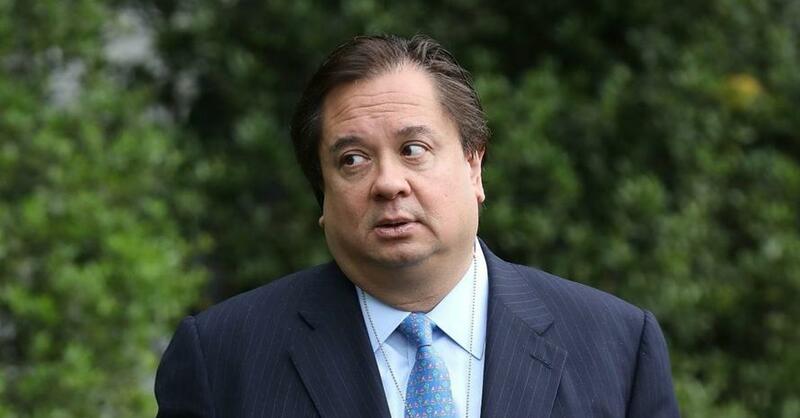 Kellyanne Conway's Husband Blasts Trump's Interim AG Pick As "Unconstitutional, llegal"
President Donald Trump‘s pick for interim Attorney General, Matthew Whitaker, has been met with harsh opposition in the form of a New York Times op-ed co-authored by none other than George Conway. That’s right, the same Conway who is married to counselor to the president Kellyanne Conway and regularly trolls the president on Twitter. The piece argues that Whitaker’s selection violates the Appointments Clause of the Constitution, a similar argument that Trump supporters have made about Robert Mueller‘s appointment as Special Counsel. The other author of the op-ed just so happens to be Neal Katyal, who helped draft the regulations under which Mueller was appointed. Their argument is based on the idea that the Attorney General is a “principal officer,” and therefore must be confirmed by the Senate. The authors, both of whom are attorneys, claim that not only is Whitaker’s appointment improper, but anything that he does in the role is also by definition improper. “President Trump’s installation of Matthew Whitaker as acting attorney general of the United States after forcing the resignation of Jeff Sessions is unconstitutional,” they wrote. In his new role, Whitaker’s responsibilities include overseeing Mueller’s investigation. That job formerly belonged to Deputy Attorney General Rod Rosenstein because now-former AG Jeff Sessions had recused himself. With Sessions out, his replacement takes over. The argument against Conway and Katyal, as pointed out by University of Texas Law Professor Steve Vladeck, is that Whitaker has not been named as Sessions’ permanent replacement, merely the interim AG until someone else is selected and confirmed. The Vacancies Act gives the president some flexibility in choosing a temporary replacement. Still, Vladeck noted, the fact that a counterargument is being made here indicates Democrats could very well try to fight this anyway. Conway and Katyal did make mention of “all sorts of technical points about the Vacancies Reform Act and Justice Department succession statutes,” that have been used to support Whitaker’s appointment, but they did not go into any detail as to why these points are incorrect. Instead, they went on to focus more on the Appointments Clause and how the president should not be allowed to select everyone in the government. Recognizing that sometimes interim appointments are necessary, Conway and Katyal suggested that Rosenstein or Solicitor General Noel Francisco slide up in the ranks instead of Whitaker, as they were confirmed for their current roles. Until recently, Whitaker was Sessions’ chief of staff, a position that does not require confirmation.